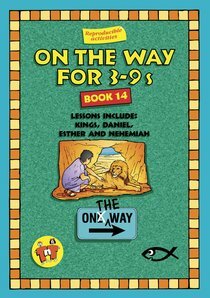 These lessons teach 3 to 9 year-olds that Bible stories are truth, not myth. Everything you need to present the lessons is provided, including reproducible materials and age-relevant, low-cost craft activities for each lesson. About "Kings, Daniel, Esther, Nehemiah (On The Way Series)"